In an effort to develop affordable, off-the-grid masterplanned communities in the future, Mirvac will commence development of its first ‘House with No Bills’ in Melbourne this year. The House with No Bills is an innovative initiative forming part of Mirvac’s ambitious sustainability strategy ‘This Changes Everything’, which aims to drive a more sustainable future for Australians. 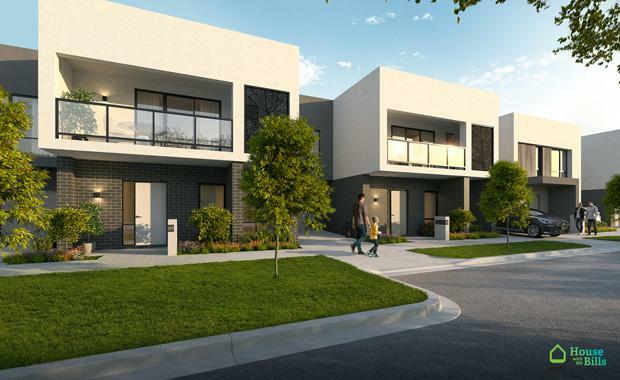 Mirvac will build a House with No Bills at its $130 million Jack Rd development in Cheltenham to demonstrate the first phase of the project, which is to deliver a home without energy or gas bills. This three-bedroom house has been designed to look, feel and operate the same as a typical home, with sustainable features planned to have minimal impact to its resident’s everyday living. It will reduce its reliance on electricity with methods including increased roof insulation, the installation of solar PV panels and batteries, passive solar design, use of LED lighting, and energy efficient appliances. To achieve a zero cost bill, smart meters and monitoring systems will assist homeowners in keeping track of where and how their energy is being used. Mirvac’s Head of Residential, John Carfi, commented that importantly, the initiative will include an industry-first 12-month study to track energy usage and uncover how average families consume energy and how the house design and associated sustainable technology performs. Valuable information will be fed back to Mirvac that will inform the development of future affordable energy efficient homes. Technology will be reviewed throughout the testing period and changed if a new, better performing solution can be found. Mr Carfi said the study was essential in order to develop more affordable energy efficient homes, as current technologies were believed to be out of the reach of many families. “By demonstrating what’s possible we hope to close the gap between interested customers and willingness to pay. Mirvac are aiming to move from an ‘opt in model to and opt out model’ whereby customers will need to ask to remove the free solar energy from their homes. “Phase one in this initiative is to monitor and gather data on our trial family’s everyday energy consumption, which will shed light on how to best roll-out this home model on a wider scale,” Mr Carfi said. “Following this, phase two will look at opportunities for zero cost water and sewerage in greenfield communities. We will also use the learnings from phase one to identify the potential of going fully offgrid. The House with No Bills is also likely to have a positive carbon outcome, allowing home owners to feed more clean, renewable energy back to the grid than they will consume, to achieve a cost neutral outcome. “As a leader in the property development sector, Mirvac can make this project a reality, so it makes sense to start the process and become the first large-scale builder to bring such a project to life,” Mr Carfi said. Phase 1 of The House with No Bills energy efficient home will commence construction early next year and will be completed by mid to late 2017. • Excess energy is sold back to the grid, which offsets the costs when electricity is required, resulting in a net $0.00 bill over the year.